Photocatalytic reduction of carbon dioxide, i.e. CO2 using artificial Z-scheme systems, appears to be a promising approach to convert CO2 into useful chemicals. In this chapter, basic principles for the photocatalytic reduction of CO2 as well as terminologies, concepts, and the charge transfer mechanism in artificial Z-scheme systems are described in general. The state-of-the-art achievements of Z-scheme photocatalysts for the reduction of CO2 are thoroughly summarized and discussed in detail by presenting selected systems in terms of different Z-scheme constructions, including (i) aqueous shuttle redox-mediated Z-scheme systems, denoted as PS-A/D-PS; (ii) all-solid-state Z-scheme systems with/without a conductor electron mediator, denoted as PS-C-PS and PS-PS, respectively; and (iii) semiconductor/metal-complex hybrid Z-scheme systems, denoted as SC-MC. 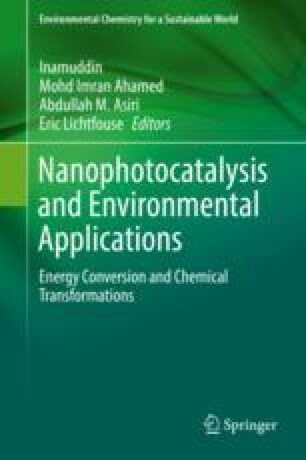 In spite of these, the development on semiconductor photocatalyst materials from the perspective of light harvesting and the cocatalyst strategy for potentially boosting the activity and/or product selectivity for the photocatalytic reduction of CO2 using Z-scheme systems are also discussed and highlighted. Finally, a concise perspective for the future direction of research on photocatalytic conversion of CO2 using Z-scheme photocatalyst is proposed. This work was supported by the National Key Research and Development Program (2016YFB0700205), National Natural Science Foundation of China (U1632273 and 11205159), and Hefei Center for Physical Science and Technology (2016FXZY002).